How does is this work of art stand in comparision with the previous great albums from HoS? First I must admit that I personally prefer Andreas Eklund as the lead singer although that A. Novak is a brilliant AOR vocalist and he gives HoS a more adult and mature ton, but Eklund is more of a solid rock voice and has a heavier depth in his throat. But life goes on and HoS (as the king said) turns the page and kicks off the new HoS album with the wonderful intro track; "Brick Wall Falling" which's a good uptempo song with heavy guitar riffs. "Changes In Mind" is an emotional track with plenty of space for Novak to show both the old and new fans what he does best. Ohh gosh I must comment that they got a great drummer in Martin Larsson, he's just awesome!! It's not only a new vocalist in the band, they got new members in the rythm section and that is in addition to Martin on the drums Basse Blyberg on bass. House of Shakira is a guitar band based with good vocal effort and that legacy is still a big element in this product and now with the new constellation, it feels like it's a more adult and a well balanced melodic rock sound and I like that attitude. "Endless Night" is a good down tempo track with both heavy guitars and infectious melodic vocal performance. "All Aboard!" is a half progressive song and a high octane party track with good tempo and cool guitar riffs. "Voice in the World" is one of my favourite tracks with plenty of technical efforts. The delicate, sensible and well performed ballad "Lost in Transition" is another of the top tracks on this disc. Overall is this a very, very nice album. It doesn't really grab my backbone as the bands in the "over 90 in rating" does for me. But, I must say that it's a "gotta own album" if you are just like me; weak for melodic rock with alot of guitars, marvelous melodies, clean high male vocals and a perfect production. It's definitely worth to have HoS' new albums in your CD collection. THAT'S FOR SURE! 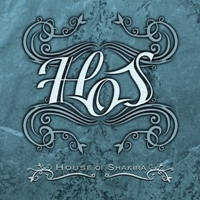 House Of Shakira: Andreas Novak: Lead Vocals, Mats Hallstensson: Guitar, backing vocals, Anders Lundström: Guitar, Basse Blyberg: Bass and Martin Larsson: Drums.